The oldest Tibetan text on incense was written by Padmasambhava who was invited to Tibet by the King Trisong Detsen. On one occasion when the king fell sick, Padmasambhava healed him with the practice of sang (smoke offering). For the benefit of future generations, a mural with instructions, the history, and a description of the benefits of smoke offering was painted on the walls of Samye, the first Buddhist monastery in Tibet. Among the many scriptures on incense making, Dakpa Tamdin incense makes use of the Peme Chumbu, written by the 1st Jamgon Kongtrul. As a young monk, Ven. 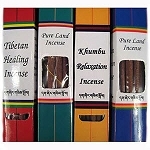 Dakpa Tamdin, the maker of this incense, learned the craft from many revered lamas in his monastery and was given the thamdze nyewa kuensel, a special pill to mix with the initial ingredients. 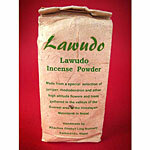 Every batch of incense includes a small portion of this initial mixture. 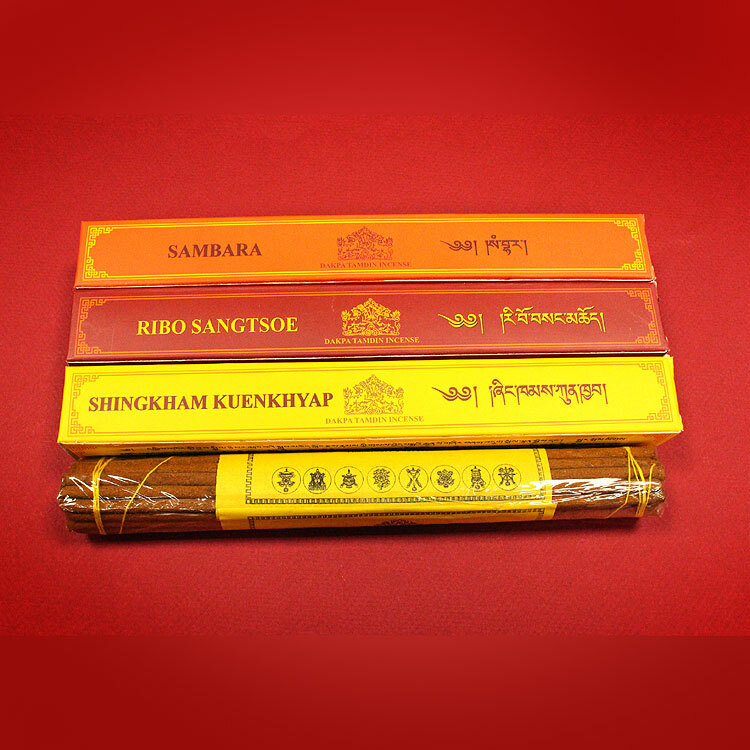 Sambara: This incense contains all basic herbal ingredients that have been used for centuries in Tibet. 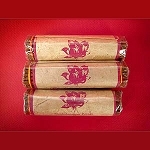 In the Buddhist scripture Dho Tharpa, it is mentioned that Indra, the king of a god realm, offered the sweet fragrance of Sambara Dukpoe to the Buddha himself. Ingredients: juniper, sunpati, saldhoop, rutha, aru. 25 sticks per box. Ribo Sangtsoe: The Tibetan word "ribo" means "hilltop," "sang" means "clairvoyant," and "tsoe" refers to a type of worship. 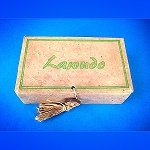 Altogether, the name of this incense means "mountain smoke offering." 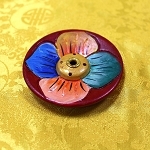 The purpose of this incense is to cleanse and purify oneself of spiritual impurity or contamination. Along with prayer and meditation, it is also used during the hoisting of prayer flags. Ingredients: juniper, sunpati, saldhoop, rutha, aru, cinnamon, spikenard, clove, cardamom, nutmeg, safflower. 30 sticks per box. Shingkham Kuenkhyap: The Tibetan word "shingkham" means "world of the Buddha," "kuen" means "everywhere," and "khyap" means "to spread." 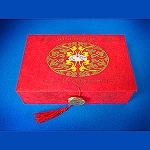 This incense is a special one that was produced exclusively for the Potala Palace in Lhasa. It contains all the requisite herbs and substances to worship and please Gyalwa Rignga's Shingkham (the palace of the Five Dhyani Buddhas). Ingredients: licorice, gyapoe, black cardamom, juniper, sunpati, saldhoop, eutha, aru, cinnamon, spikenard, clove, cardamom, nutmeg, safflower. 30 sticks per box. Each type is approx. 10 inches long (25 cm).